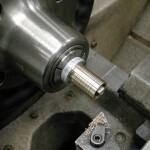 The main rod bearing was a purchased SAE660 bronze sleeve bearing p/n 6381K528 available from McMaster-Carr. It has the correct I.D., but the O.D. is larger and the length is a little long as well. 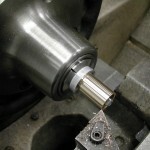 First step is to make a little 9/16″ expansion arbor to hold the bushing for machining. 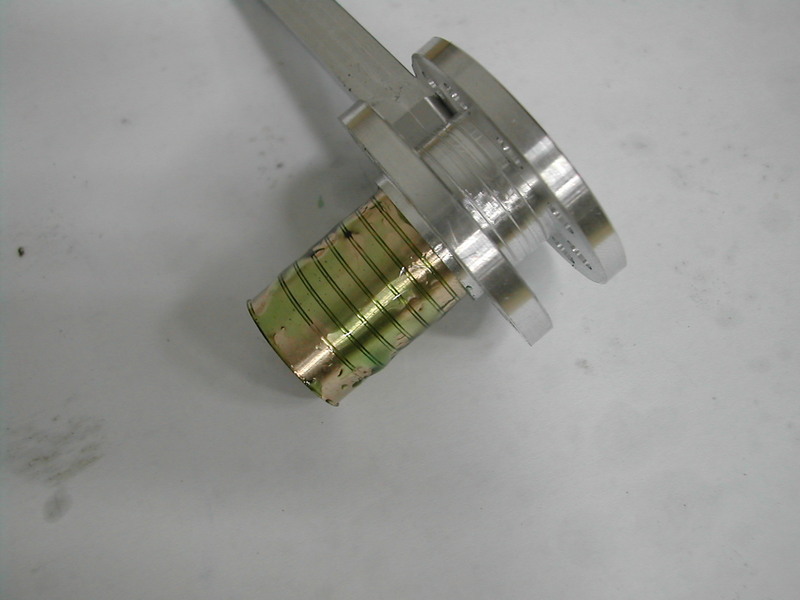 This was a scrap piece of aluminum tapped with a 1/8″ pipe thread and then split with a hacksaw while still chucked in the collet. 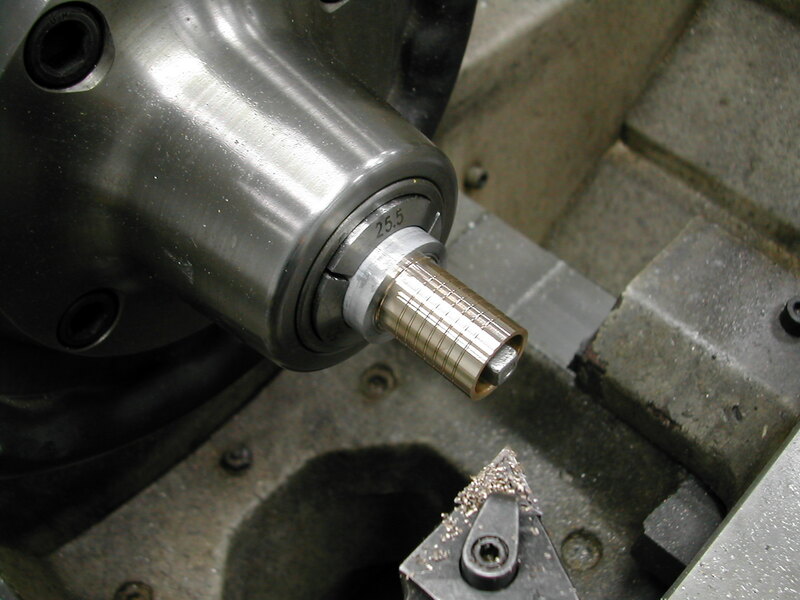 The length of the bushing is left long for now, but the O.D. 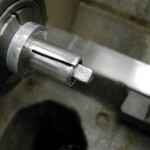 is turned to the 0.687″ finished dimension. This makes for a tight slip fit in the master rod. 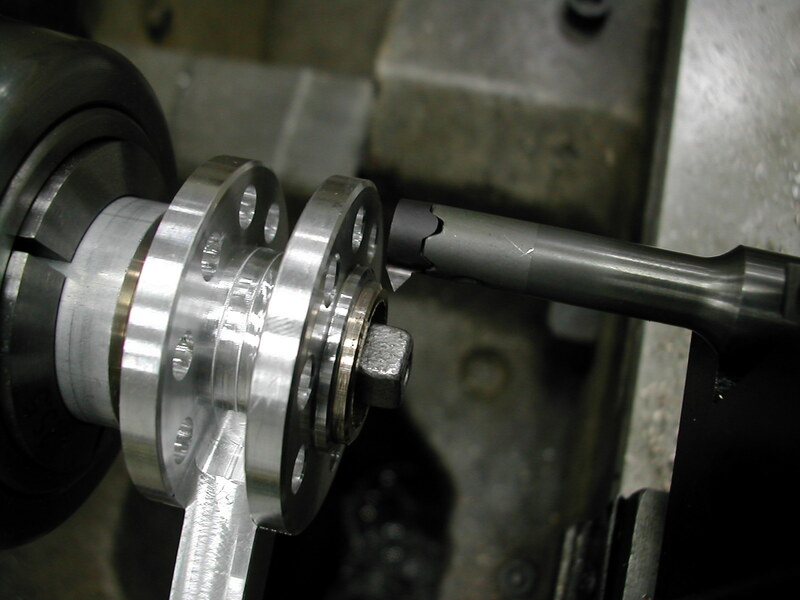 Too tight a fit and you risk closing down the bearing bore or distorting the rod. Here, I’ve added a few radial grooves to provide a reservoir for the retaining compound that will ultimately glue the bearing in place. I wanted a tight fit on the bushing for dimensional location, but you still need a couple of thousandths of bond line for the adhesive to work. 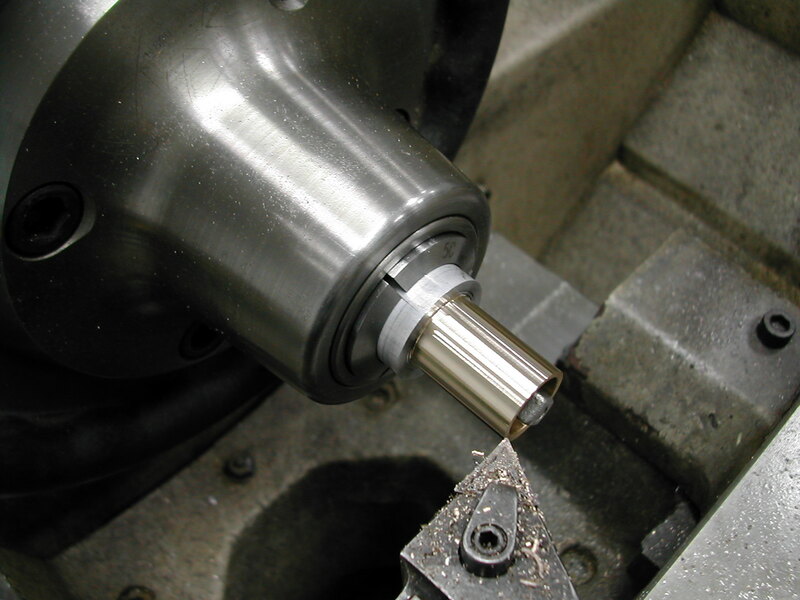 The Loctite RC690 cylindrical retaining compound has been applied to the clean bushing and master rod. 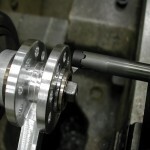 The bushing is still long, so at this point it’s not critical to get it perfectly centered in the master rod. Try to shoot for an even amount of exposure on both sides of the master rod. 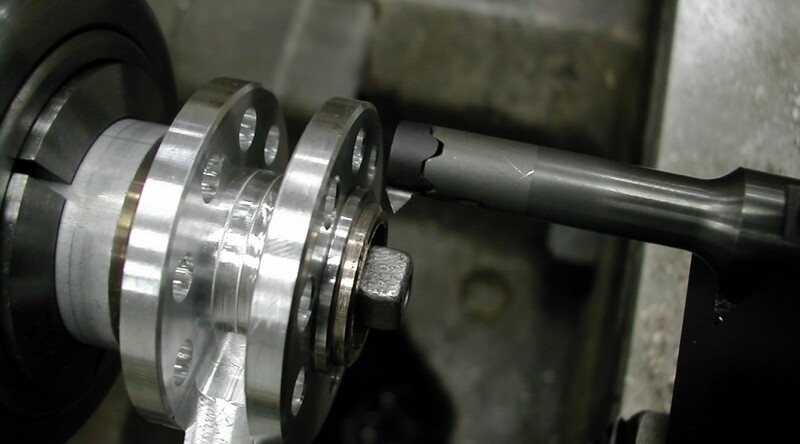 Once the retaining compound cures, the rod assembly is placed on the split arbor and the bushing is faced for the proper 0.061″ exposure and both the bushing and the outside edge of the rod are chamfered. The rod is then flipped on the arbor and this is repeated for the other side. 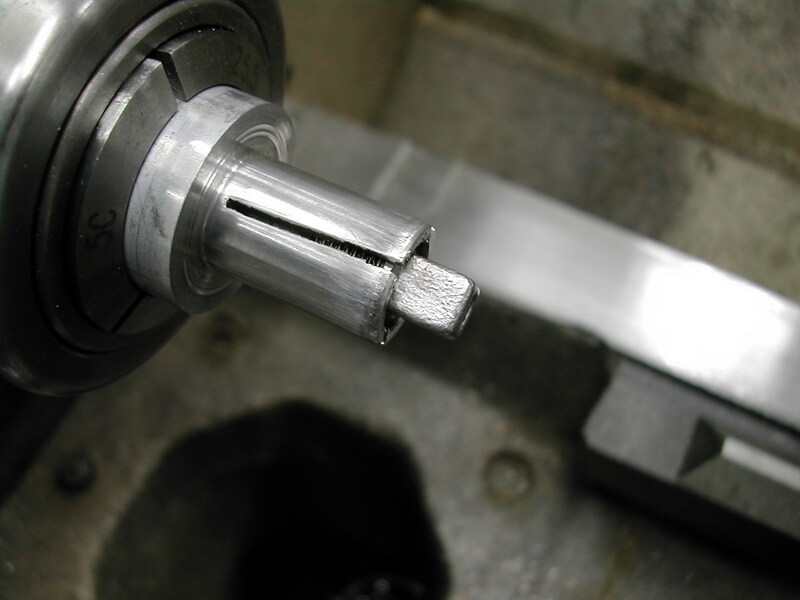 Since the inside of the rod pocket ended up with a 30° chamfer because of the center drill used as a chamfer mill, I used my internal threading tool to create a corresponding 30° chamfer on the outside edge. This necessitated running the lathe in reverse.